It would be an understatement to say that Civilization VI is one of the most eagerly awaited games of the year. This strategy series is one of the better known in gaming, after all, and players have been enjoying these games’ mix of addictive gameplay and turn-based strategy ever since Sid Meier’s original Civilization game hit the market back in 1991. So will the upcoming Civilization VI live up to the hype and please the franchise’s fans this year? Judging by the preview videos we’ve seen so far it looks like Civilization VI will be as complex and engaging as earlier entries, while also offering what made earlier games in the series great, such as the large roster of civilizations and leaders to choose from when starting a new game. Actually, Civilization VI brings back a feature that had been missing from the franchise since 2005’s Civilization IV, that is, players being able to choose from more than one leader per civilization. 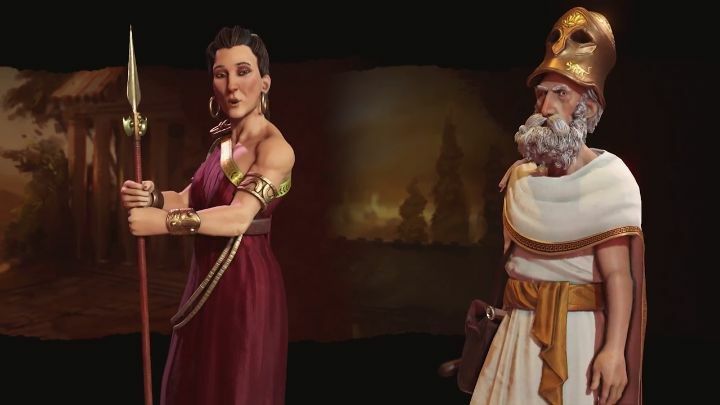 This is coming back in Civilization VI, and not only will it let players choose between a male or female leader to play as in the game, but will also add some strategic depth to Civilization VI’s gameplay. This is because each leader will bring a unique ability to the table, as is the case with Greece, which will feature two leaders to choose from: Pericles (who was introduced in a preview video back in September) and the Spartan queen Gorgo. Those who pick Gorgo instead of Pericles will get access to her unique ability, which grants Greece culture points every time you destroy an opposing unit in combat, and will make Gorgo’s Greece a good pick for those aiming for a cultural victory in the game. There is also an aesthetic difference when playing as Gorgo, as the colour scheme of Greece’s units and buildings will be different too, helping add variety to the game. What is clear, though, is that being able to choose from more than one leader per civ in Civilization VI will certainly add to the game’s replay value, and could end up making this latest instalment of the Civilization series one of the year’s top video game attractions when it comes out this fall.